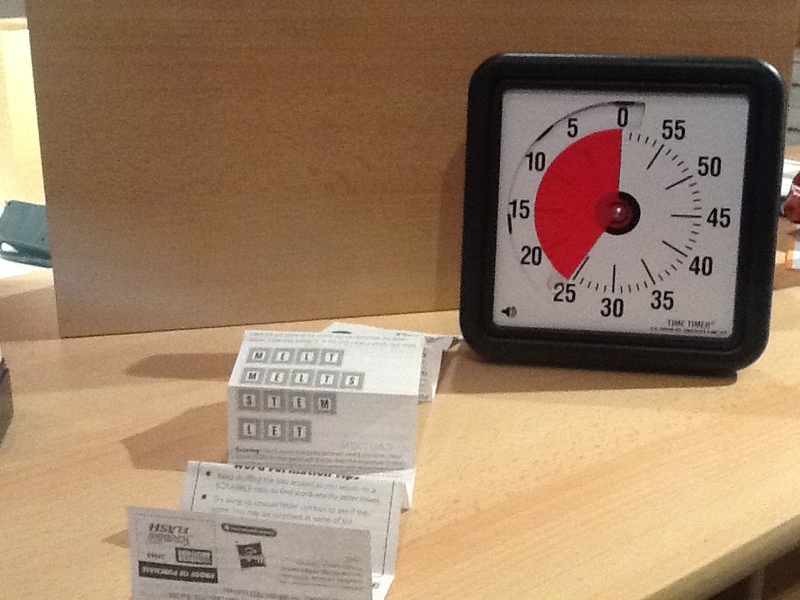 First of all, I brought in a Time Timer. 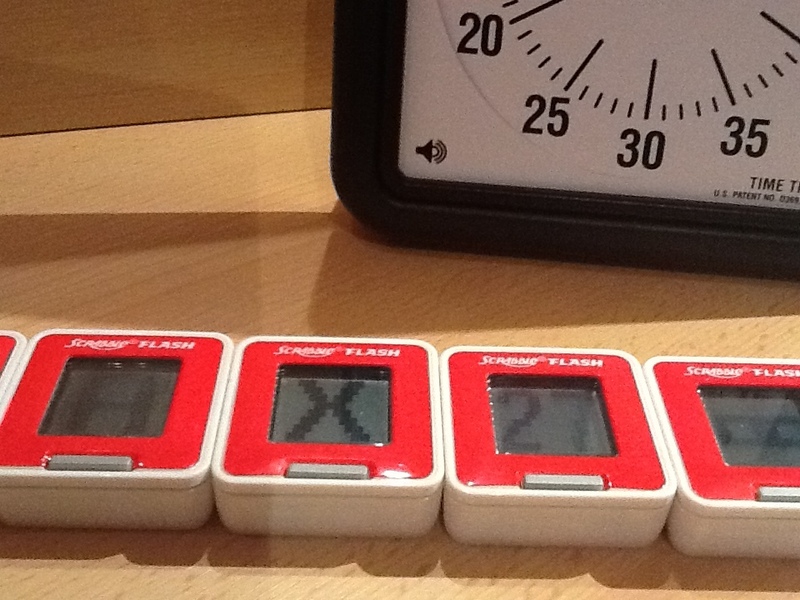 I am going for a timeboxed session of 25 minutes of uninterrupted testing. The Time Timer will indicate to me how much time I have left. I start studying the manual. What is game 1 all about? 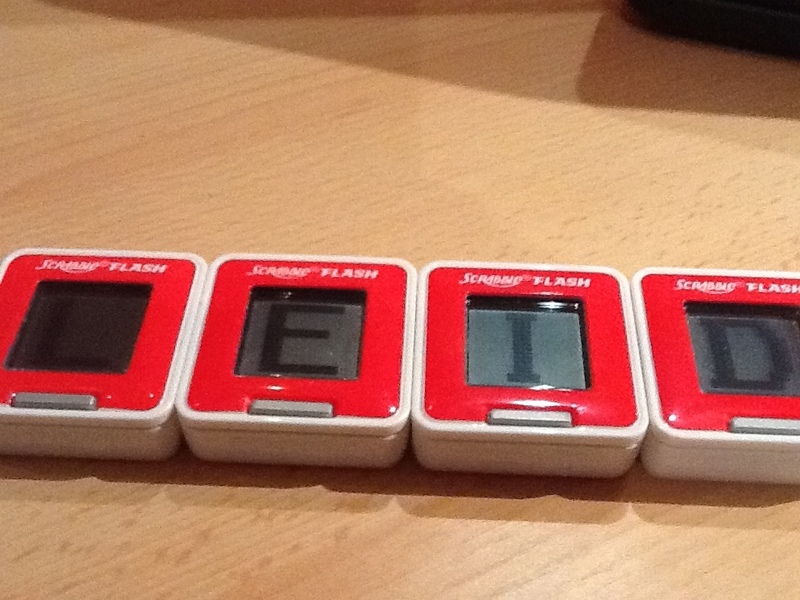 It seems that I get five letters, and have to re-arrange them in order to gain a time credit of five seconds each time. I can re-use the same words as well, but the tiles will not flash then. I start playing three to four times with game 1. I get some medium score in the beginning, eventually improving over time. But it seems that I won’t make the maximum score. I get bored – notice my felling – and get on. There was a variation stated in the manual regarding four tile games. I start game 1 with only four tiles, hoping to be able to improve my success with the game. After some more round with four tiles, I eventually find out, that I really can improve my English treasury of words – especially the two, three, four and five letter ones. As it turns out, game 1 allows me to arrange words with two, three, four and five letters. I get scored by these. After time is up, I get my current score for this round alongside with the maximum possible score. Everything seems fine with game 1 for me so far. Taking a closer look on the time left, I go for game 2 as well since I got 15 minutes left. Game 2 is a bit different. I refuse to read the manual up-front, but instead go for the game directly. The first round seems to be the same as game 1. After that round I wonder what the actual difference to game 1 is supposed to be. 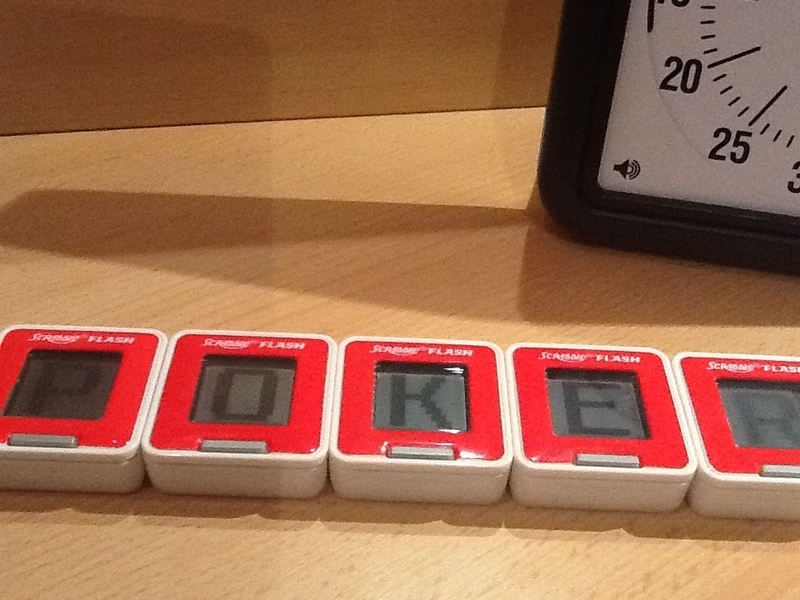 I read the manual, only to find out that the letters now get re-shuffled once I formed a valid five letter word. Interestingly this didn’t seem to happen. I note this down as an area to look deeper into, and start to play game 2 again. This time everything seems fine. After time is up, I get one possible word for the current setting of letters alongside with my score. I try a few more games, even with four tiles, but get pretty bored fast. My English seems to be too bad for me to go along. I wonder what our 11-year-old will come up with when he plays the game. Besides the additional session on the problem when I started game 2, but actually received game 1, I didn’t notice a problem. On internationalization I found out that it doesn’t seem to recognize German words like “Leid”. This is going to be an interesting session. I am looking forward to game 3 in the next blog entry. 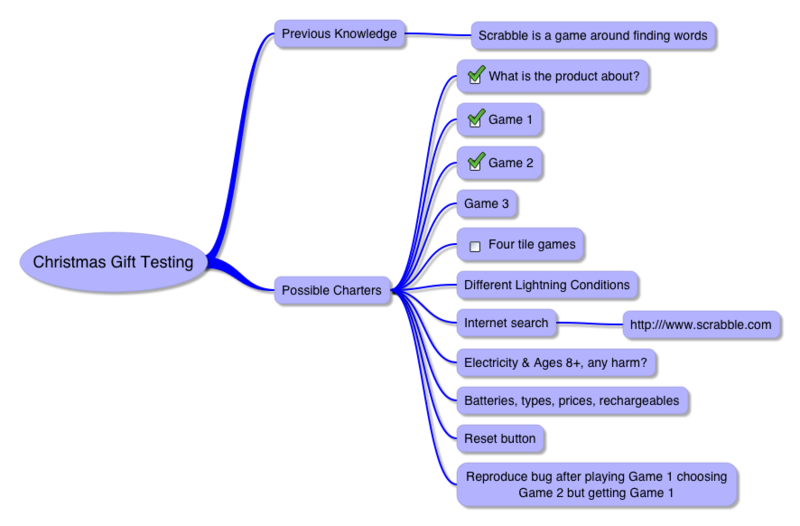 Here is the updated mindmap with the current state of my testing. To be continued in the next part of this series.